The Hebrides are riddled with significant archaeological cultural heritage. Use the MV Cuma as your floating hotel to get to remote sites. The Hebrides are a haven for mammals and animals such as grey seal, otter and red deer. The MV Cuma also visits sea-bird colonies - home to thousands of puffins, razorbills, guillemots, fulmar and kittiwakes. The haunts of the golden eagles are known and are regularly seen along with manx shearwater, storm petrel, gannet, great skua, divers and many other species. No need to brave the icy Arctic weather to catch site of the magnificent humpback whale! Or to cruise the Caribbean to spot a dolphin, because the waters around Scotland are rated the best in Western Europe for whales, dolphins and porpoises. 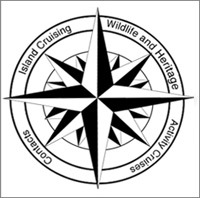 MV Cuma places particular emphasis on sighting and recording cetaceans, following their seasonal feeding patterns, with passages to remote islands and sea lochs. The species most likely to be sighted include minke whale, harbour porpoise, risso's dolphin, white beaked dolphin, common dolphin, killer whale and northern bottlenose whale. The World Heritage site of St Kilda is famous for breathtaking morphology, unique human history and teeming bird colonies. An island of special interest, it is the most westerly of the Outer Hebrides. MV Cuma cruises past the world's largest gannetry at the 1000ft cliffs of Boreray and Stacs with over 50,000 pairs of breeding gannets. Passengers are given time ashore to explore the village and archaeological remains staying up to three nights in Village Bay. Enjoy the buzzing nightlife in the 'Puff Inn', the only pub on the island. Various species on the different islands visited. Various sea birds including petrels, shearwaters, guillemots, fulmars, gannets to name a few and of course the large bird colonies on St Kilda and the Flannan Isles. Sunfish and a Leatherback Turtle.